NZ Ben Gracewood (Vend) and Anders Ivarsson (Spotify) – overview of Ben’s talk “What if there were no rules?“, Tony learning a new word (connaissance) and the motto of not being a “duck” is his talk and Anders about his talk “Autonomy and Leadership at Spotify” and that we shouldn’t call Spotify a model! 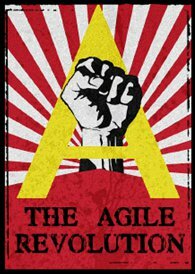 This entry was tagged #agilebaby, Accenture, agile, Agile Australia 2015, Agile Fluency Model, Anders Ivarsson, Ben Gracewood, Bernd Schiffer, Chris Chan, complexity, connaissance, Craig Smith, DevOps, Dylan Verheijden, Elabor8, Erwin Van der Koogh, Mirco Hering, Poppy Schiffer, Robert Loomans, Shane Sendall, Spotify, Suncorp, Tim Tam Slam, Tony Ponton, Vend. Bookmark the permalink.